Lenovo brand Moto on Friday announced the launch of three new Moto Mods for its flagship Moto Z range in India. The new Moto Mods comprise the JBL SoundBoost 2 Mod for audio, the GamePad Mod for handheld gaming, and the TurboPower Pack battery mod for charging on the go. Priced at Rs. 6,999, the JBL SoundBoost 2 Mod succeeds the previously launched JBL SoundBoost Mod. Moto claims a 10-hour battery life and water-repellent coating on this mod. It comes in Red, Blue, and Black colour variants and features a fabric-coated back for better grip. 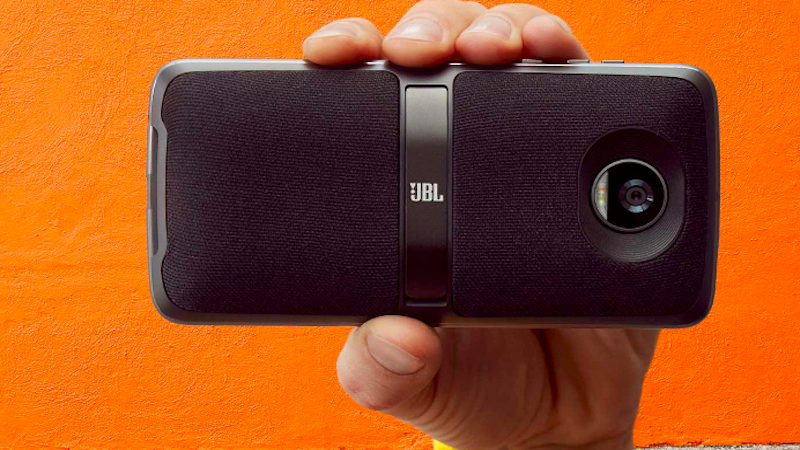 With a built-in kickstand, the JBL SoundBoost 2 Moto Mod offers a handsfree experience. The My JBL SoundBoost 2 app will also be available for managing audio settings. The second Moto Mod announced on Friday is the GamePad Mod. It snaps to the back of a Moto Z-Series smartphone and offers a handheld gaming experience. The Moto Game Explorer app pops up on first-time installation and gives you a list of the compatible games on Google Play. Once you install your preferred game, it automatically gives functionality to the gamepad, which has dual control sticks, a D-Pad, and four action buttons. 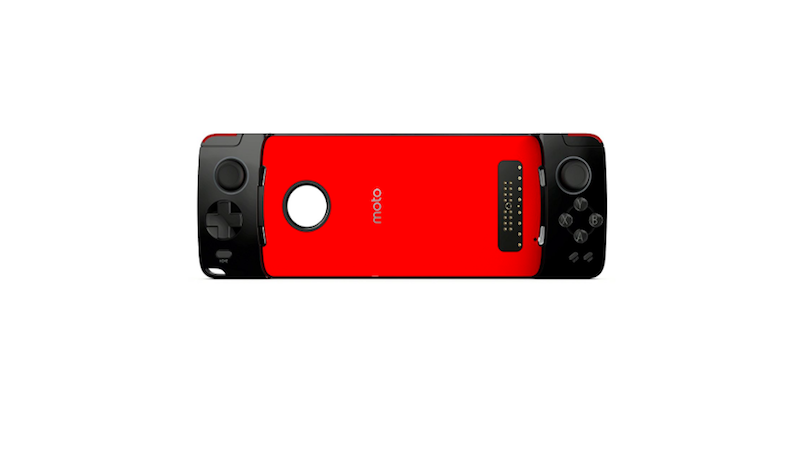 The GamePad Moto Mod is priced at Rs. 6,999 and comes with a built-in 1035 mAh battery. 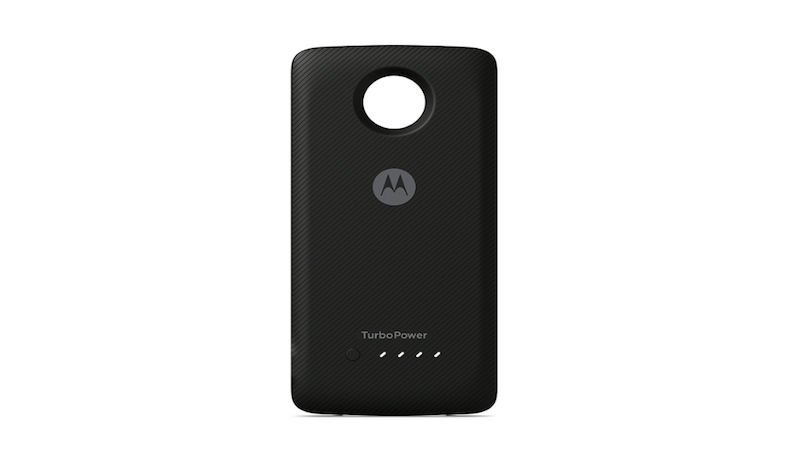 Finally, the last Moto Mod that came to India is the Moto TurboPower Pack Mod that packs in a 3500mAh battery for your charging needs on the go. It snaps onto a Moto Z phone, just like other mods, and is claimed to offer up to 7 hours of battery life within 15 minutes of charge, which is made possible with a fast charging 15W output. This Mod is priced at Rs. 5,999. All three Moto Mods will be compatible only with the Moto Z, Moto Z Play, Moto Z2 Play, Moto Z Force Droid, and the Moto Z2 Force Edition. The Mods will be available online via Flipkart and offline via Moto Hubs and other Moto retail partners. The Moto Mods will go on sale starting Saturday, December 16. You will also be able to rent out Moto Mods on Rentomojo.com, starting December 22.